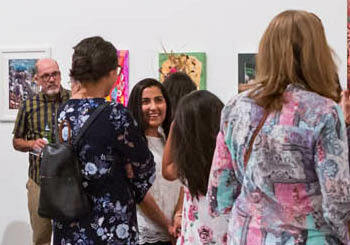 CPAC Youth’s flagship arts market Art Meets West will return to CPAC in 2019, showcasing the best of South West Sydney’s creative scene. Art Meets West will feature a range of Western Sydney’s best artists in a classic arts market, with live music by local talent and a vibrant selection of amazing food. From striking visual projections art, zines, art and stylish, new threads, Art Meets West offers an eclectic collection of products available for purchase and an entertaining day to remember. An event for all ages, Art Meets West is bound to resonate with anyone that loves art, music and Western Sydney.